The housing market is booming, and homes of all shapes, sizes, and locations are selling thanks to a fresh new demand. Homes are selling within just days of being listed – and, according to Curbed¹, home prices are at all-time highs in 2018. A booming housing market means real estate agents are raking in money and earning huge commissions. The market isn’t showing any signs of slowing down, and that means there’s no better time to consider a career as a real estate agent. Here are five reasons you should pursue a career in real estate. Getting your real estate license is an incredibly easy: you just need to pass your state’s required courses and exam. There’s no need to spend years or thousands of dollars on a college degree, as no degree is required to earn your license. And only a few states require real estate agents to have a high school diploma or GED certificate. In most states, you must only meet the age requirement and pass the licensing exam. This means you don’t have to shell out money to begin making more money as a real estate agent. As CollegeData² reports, the average annual tuition at a public university in 2018 was $25,290 while a year’s tuition at a private university averaged $50,900. That’s a potential total of over $200,000 over four years – and you’ll likely wind up in debt as a result. Becoming a licensed real estate agent doesn’t come with such a great financial burden. Real Estate Express³ writes that, on average, the classes needed to pass the licensing exam total just $300 – and the license itself costs just $150. Work with a real estate firm in your area, and you might even get these costs covered so the entire process is free. One of the most appealing aspects of real estate is the freedom that comes with being an agent. As a professional real estate agent, you’ll be a commissioned independent contractor. That means you won’t be chained to a desk all day. You’ll be able to work from anywhere, whether it be hosting open houses on the weekends or attracting new customers at local events during weeknights. You’ll have to stay flexible to accommodate clients, but your time will largely be your own. Pick up your kids from school, swing by a shoe sale or take that well-deserved vacation whenever you like. You get to set your hours, so if you’d like to work a traditional 9 to 5, you can – and you can also choose to work any hours that suit your schedule and your lifestyle. Real estate agents are in charge of their careers. You get to work as much or as little as you’d like, picking how many houses you’d like to sell and which clients you’d like to take on. As your own boss, you determine your earnings and how much you make with every commission or sale. How much you earn depends on how quickly houses sell in your market and how much they sell for. Fortunately, thanks to today’s booming housing market, real estate agents are reaping the benefits by earning a lot of money on every sale. This is the most common way agents to earn money. When an agent sells a home, the client pays a percentage of the sale price to the broker. The broker then pays a portion of that commission to the selling agent. Agents who pay a monthly fee to a brokerage for a workspace, internet service, technical support, and other services usually keep the full commission on each sale. This is a very lucrative arrangement for agents in busy markets with high-priced homes. The cost for the office is fixed, but there’s no limit to what experienced agents can earn. Brokers sometimes refer clients, both buyers and sellers, to other brokers. Let’s say an agent sells a home in Dallas for a client who’s moving to Atlanta and needs a house there. The agent knows a good broker in Atlanta and refers the client. When the client buys a house in Atlanta, the brokerage that handles the sale pays a percentage of the commission to the referring broker back in Dallas. The referral fee is split with the agent. Some new brokerages have done away with commissions altogether and gone to a flat-fee system. For one fixed price, they list homes on all online platforms, stage houses for showing, arrange professional photography, design virtual tours, and conduct tours in person. Rather than paying a commission, those brokers pay their agents a competitive salary. Who doesn’t like mixing business with pleasure? Real estate agents are in the business of getting to know people. Helping people sell or buy homes can result in lifelong friendships. There are initial meetings with sellers to value their property and discuss upgrades. There are showings and open houses. Many agents offer to drive prospective buyers around the neighborhoods they’re interested in. You’ll also have plenty of opportunities to network and socialize with other realtors. Within your brokerage, you’ll pool resources and work with other agents, giving you a professional network that can also introduce you to new friends and new ways to advance your career – all while setting your goals, your income level, and your hours on your own. There’s only one step you need to take if you’d like to become a real estate agent and participate in the growing housing market: study for the licensing exam. Luckily, preparing for that exam is easy if you choose to take online real estate courses. Online courses not only teach you the most crucial facts you’ll need to know about real estate, but they are also affordable and convenient. You can learn at your own pace, taking courses that suit your busy life and accessing course material 24/7. You can even learn in your pajamas! And the entire online class or set of classes costs just a few hundred dollars. Again, states set their own rules for real estate licensing. Before you choose an online program, make sure that you know your state’s requirements. Then, do your homework to ensure the program has a good reputation and is fully accredited. Searching online will guide you to the best online real estate programs to prep for your state’s licensing exam. 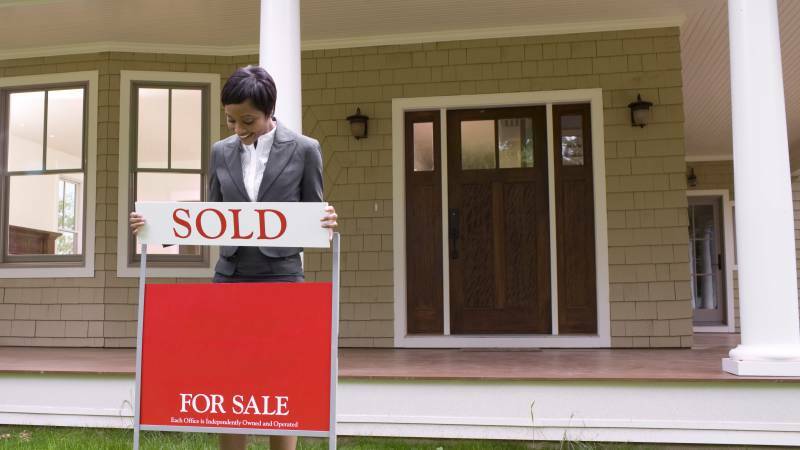 If you’re interested in becoming a real estate agent, start a search today.